I'm in a taxi from Mother Teresa airport into the Albanian capital, Tirana, and the driver leans back to chat. "Before 1991, there were no cars here," he says. "I'd go to work by bicycle." Looking out the window, past the Coke sign, past the Vodafone offices, past the cow on the median strip, it's hard to believe we're having this conversation in a European capital. The Balkans are literally the land of honey and blood, named by Turks who netted the peninsula – from Slovenia to Albania – into the Ottoman Empire, where it remained ensnared for five centuries until 1912. In Turkish, "bal" is honey, "kan" is blood. And as they learned, the riches are sweet, but come at a price. My 15-day journey through the western Balkan nations of Albania, Kosovo and Macedonia is an adventure in numbers: three countries and three currencies, even more languages and seemingly countless ethnicities and tribes. Their histories and borders mesh, knot and unravel as they are pushed and severed from empires; at times, it's hard to see the honey for the blood. A country's name is the key to its heart, and while it's Albania to the rest of the world, to Albanians, their country is Shqiperia, the Land of the Eagles. The black double-headed eagle graces one of the world's oldest flags. In antiquity, this was Illyria, an exotic land borrowed by Shakespeare as the setting for Twelfth Night, with its rogue pirates, shipwrecks and lashings of swordplay. If it's off your radar, blame Communist dictator Enver Hoxha, who closed the country's borders for almost four decades, killed up to 100,000 of his countrymen, and embarked on a paranoid, bunker-building binge until his death in 1985. Love or loathe the concrete domes, they're an unofficial symbol of the country. Are there 60,000 or 600,000? Nobody knows. Some have been smashed for their iron, others shelter sheep and stray dogs. In Tirana's centre, I visit the macabre BunkArt museum, and join a queue for selfies in another: I bypass the chance to get inked in Shkoder's bunker tattoo parlour. Hoxha hasn't quite gone away yet. In a bizarre twist – a Balkan specialty – his architect daughter built a vast, glass pyramid as his mausoleum in the city's centre. It's now a hang for skater kids developing their tagging skills, but there's talk of turning it into an art gallery. Developers are also now eyeballing Hoxha's former house, a 1950s-style sprawl in Tirana's most hip neighbourhood, Blokku, facing a shopping centre selling Versace fashion and fried chicken drumsticks. The days of Albania's isolation are fading into the past. The dreamy isolation, however, is still alive in Valbone. High up in the Accursed Mountains, which define Albania's border with Montenegro and Kosovo, the Valbone valley is a swathe of vivid green, neatly patched with plots of corn, beans, onions and pumpkins. The fields are fringed with fetching haystacks and apricot trees laden with ripe fruit, which I pluck on short, scenic hikes. It is a bountiful land, fed by the coldest spring water that tumbles from snowy peaks into my water bottle, crisp and biting when dashed onto my hot face. Jagged peaks tower over us, sharp as dragon's teeth as we follow a deep track up to the foothills of the mountains to a welcoming teahouse. Until just four years ago, this was just a path for boots and hooves. Walking back down onto the main road, our guide and guesthouse owner Erenik cautions us: "Be careful on the roads – we've had cars for only 27 years [since the fall of Communism in 1991]." Times are a-changing, and that old twist of urgency pulls at my gut to see, smell and taste the country before mass tourism encroaches upon its individuality. "When democracy came, there was nothing here," recalls Erenik. "Even if you had [just] a popcorn machine, you'd become rich. There was a lot of opportunity." Now there are cars, and Scandinavian tourists flood to the spectacular beaches of the Albanian Riviera in the south of the country. Valbone is still a sleepy outpost, with just five guesthouses in the valley, but they're all fully booked, and new cabins and a hotel are rising from the soft green grass. 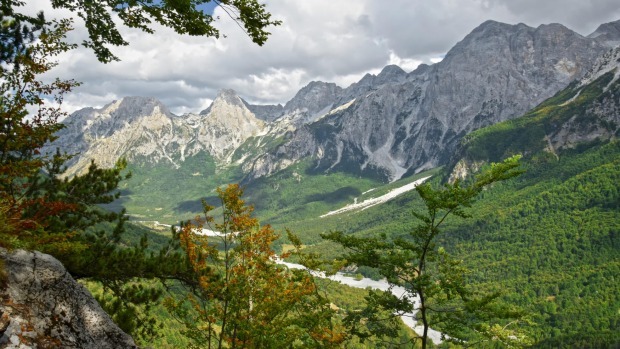 After the dreamlike state of the Albanian Alps, Kosovo feels alert to possibility. Just 10 years since it declared independence from Serbia, it's getting on with the job. "We're like a toddler with the idea of statehood and nationalism," says our Intrepid guide Bashkim Fazliu, a Kosovan of Albanian ethnicity. Monumental columns form the spines of vast new highways, strung across deep gorges formalising the deep-rutted trade routes of antiquity. Kosovo's pockets jangle with euros, and you'd better keep your eyes open to spot the parliament building in the capital, Pristina. It doesn't have time for beautification. There's little flourish in this town, but it does have its share of statues of men on horses, the obligatory Mother Teresa and its signature, the NEWBORN monument, whose three-metre letters dwarf the old men gossiping in front of it. The quiet statement is Heroinat (Heroines), a sculpture comprising 20,000 medals, each printed with a woman's face. Human Rights Watch estimates up to 20,000 Kosovar women were raped during the Kosvan war, ripping the fabric of family life as it rips at my heart. Dedicated to these women, I know the monument's steps to be washed in tears. There are still many countries, including EU members, who refuse to recognise Kosovo as an independent country, but there are plenty who do, including Australia. In Kosovo's prettiest town, Prizren, a tall building spells out its gratitude – Arigato gozimazu Japan. Kiitos Finland. Thanks Australia. "That's it?" I ask. "Not even, 'thanks, mate'?" Prizren is Kosovo's jewel: from the beautifully crumbling Byzantine fortress, I photograph clusters of classically European red roofs gathered around minarets, and the town is split by a rushing river, crossed by arched stone bridges and lined with busy cafes. Its knotted, cobbled streets are on a charm offensive, led by the town square and its fountain pouring sweet spring water. "If you drink from the fountain, you'll fall in love and stay in Prizren," says Bashkim with a wicked grin. This summer's day, with the sun glinting off the silver filigree jewellery shops and the boys' circumcision dress boutiques, with savoury smoke curling above street barbecues and the chime of cold beer glasses ringing a toast, temptation whispers in my listening ear. 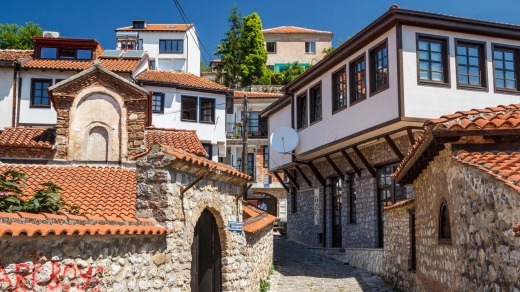 However, should you seek "gritty and interesting", the Kosovan town of Peja fits the bill. Roma families sit in the parks begging, its shopfronts splashed with bad graffiti where a blue sign tells me this is Tony Blair Street. Later, a sign above a shop selling plastic shoes announces I'm on Bill Clinton Street, yet more thanks for those who helped Kosovo on its road to independence. Peja's our base for a day hike in the Rugova valley, in Kosovo's section of the Accursed Mountains. Sunny and hot, it's sublime walking at altitude with our mountaineering guide Yole, whose CV includes a stint as a rebel scout during the 1991 war. Bears and wolves stalk these mountains, but among the summer flowers and whispering pines, it is just the world and I. Later, in Peja's museum, I'll learn that the men's traditional dress included a three-metre white turban that not only kept a man's head warm, but doubled as a shroud when the brutal winters claimed his body. "This place is lousy with statues," declares my fellow traveller Michael, in his thick Brooklyn accent. He's right: I've counted 30 on Skopje's short Bridge of Civilisation alone. The Macedonian capital bristles with bronzed bigwigs: Skopje-born Mother Teresa is an enduring favourite (and one of the few females), Byzantine saints Cyril and Methodius get a showing as do innumerable kings, warriors and scholars. Skopje even has its own triumphal arch, Porta Macedonia, but the crowning glory is awarded Macedonia's favourite son, Alexander the Great. Alexander is also a favourite son of Greece, so in what seems to be a rare gesture of appeasement in this part of the world, his statue in Plostad Makedonija – eight storeys high and embellished with lions and water fountains – is now officially known as Warrior on a Horse, while Alexander the Great Airport is simply Skopje Airport and, as of this year, the Alexander Highway is now the pallid-sounding, but politically palatable Friendship Highway. 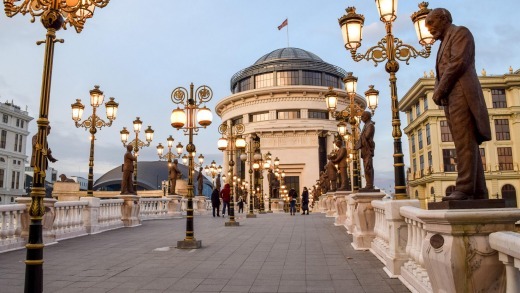 Skopje's Ottoman links are strong in the Turska Charsija, the Turkish bazaar whose kebab stalls, bars and shoe shops are interspersed with mosques and Islamic tombs, most newly renovated with fresh money from Istanbul, keen to keep its Balkan links alive. After a fiery rendition of Macedonian history and a defence of the country's right not to be called the Former Yugoslav Republic of Macedonia (FYROM) or North Macedonia at the Museum of Macedonian Struggle, dinner is a totally Slavic affair. Grilled meats, stuffed vine leaves and ajvar, the beloved dip of red roasted peppers, fill the table and we pour local beer and blood-red Vranec wine into our glasses as the piano accordion and double bass of the restaurant's band sing of beautiful melancholia, and the diners sing, hands to heart. "Zajdi, zajdi, jasno sonce (Set, set, Oh clear sun)." It's said that Lake Ohrid is so beautiful, it must be shared. So it's split between Macedonia and Albania. The main city, Ohrid, is a three-hour drive from Skopje along a road lined with poppies and violas, and we swerve around the bends until we spy it: a body of water that reflects the same deep, Byzantine blue found in the curlicues of the many mosques we visit. 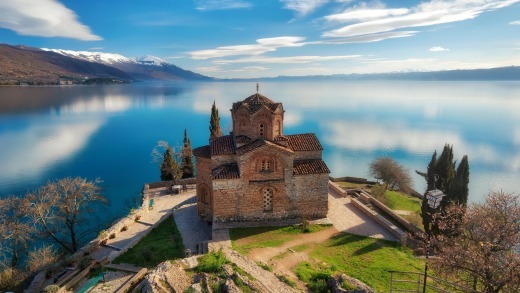 Lake Ohrid is 3 million years old, up to 300 metres deep, and there were once 365 churches in and around Ohrid, earning it the nickname the Balkan Jerusalem. The Orthodox churches' two-toned stone facades glow in the early morning light, the most beautiful of them the 13th-century church of Sveti Jovan at Kaneo, a showstopper and unofficial symbol of the city. Behind it, the lake's smooth surface is spliced by a speedboat running tourists to the 17th-century St Naum's monastery: the tourists are mostly Macedonians, Bulgarians and Ukrainians, and all know a bargain when they see it. The days in Ohrid are spiked by moments of content: a long macchiato by the lake before a climb through Ohrid's medieval Old Town. Long lunches on fresh lake fish and golden afternoons dipping in and out of the water, or watching the silver flash of tiny fish. The road back to Tirana skirts the lake before climbing up to the border crossing. Like all borders, the air is thick with petrol fumes and irritation. And just like all border crossings, manners and patience are the casualties, and our driver finds himself in a jostling match with a banged-up sedan and a souped-up old banger that's part of a cross-Balkans car rally. The Austrian-registered car is driven by two pallid and paunchy young men who've splattered the car with stickers that indicate sexual frustration. True to form, at the first petrol station across the border, we spy Albania's two enduring icons: a statue of Mother Teresa and a concrete bunker. After nearly two weeks in the western Balkans, a flick through my photos shows a pattern emerging. Old woman in a headscarf. Old man in a flat cap. Cobbled streets. Fresco of a 16th-century, dark-eyed Madonna. I'd come here thinking of the western Balkans as undiscovered, as the New Europe for travellers, but I'm leaving it knowing it's actually Old Europe, and that's its charm. OHRID SUMMER FESTIVAL, OHRID, MACEDONIA JULY 12-AUGUST 20. 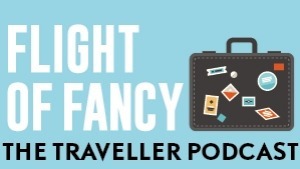 Australians don't need a visa to visit Albania, Kosovo or Macedonia for stays less than 90 days.